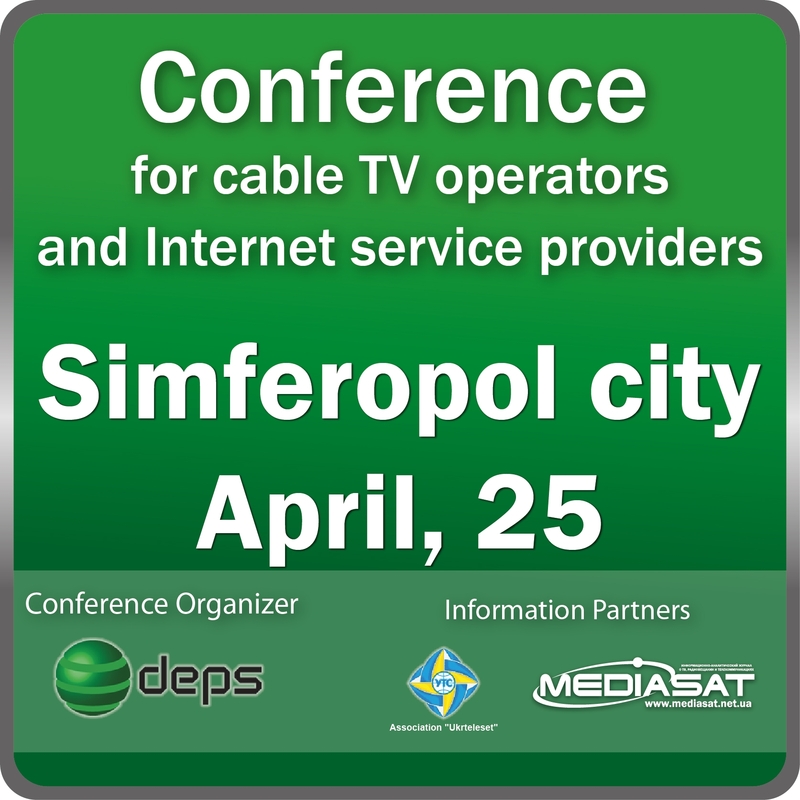 We invite you to attend consulting and practical conference for cable TV operators and Internet providers, which will be held on April , 25th, at the conference hall of hotel "Moscow" to the address: 2, Kiev street, Simferopol city. Topics of the conference will be focused on issues of networks building and its developing. Your participation in the conference will let you learn about the latest trends in the market of telecommunication equipment and will get you the most useful and relevant information. For greater efficiency, each report will include both a lecture, and the discussion and practical parts. The conference will be accompanied by an equipment exhibition . Participants registration is carried out prior to April ,18, 2012, inclusive. Wellcome to the conference in Simferopol city!